"Though it's their lowest price model, the Digital Rebel line has been something of a leader in terms of showcasing new features before they appear in Canon's higher-end cameras. 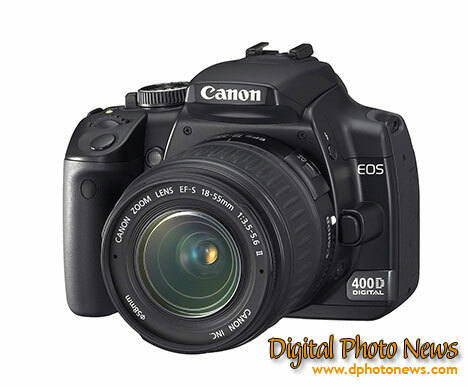 The original Rebel came out in 2003 with improvements over the then lowest price digital SLR in the line, the EOS 10D. For $1,500 less, you got a slightly better sensor implementation in a camera that--while having a few feature compromises--served many consumers and intermediate photographers quite well. The Rebel XT played catch up with the EOS 20D in most ways, except that it was quite a bit smaller than that semi-pro camera. But the Rebel XT did lead the rest of the industry in terms of high resolution at a low price, and its high ISO image quality remains unmatched for the price. The Rebel XTi plays both catchup and leader, adding features that other cameras have added in the past 18 months, like a bigger LCD and higher resolution, but also leading in areas others have yet to catch up. In terms of a comparison to other EOS cameras, the XTi is the low-price resolution leader, and includes sensor cleaning technology that no other EOS has. 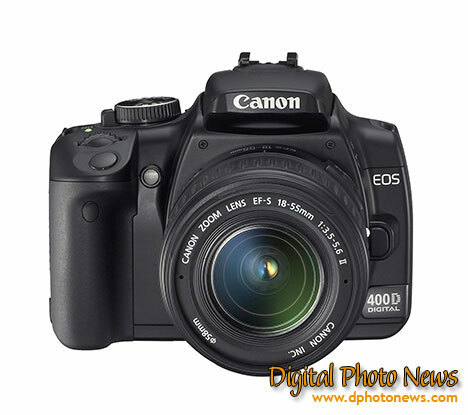 We'll outline and explain some of these major features, and get you a hands on user report as soon as we can; but meanwhile, here's our overview of Canon's EOS Digital Rebel XT." "Camera performance was excellent in most respects. While the camera doesn't start up as quickly as some, it's due to the dust reduction system, and you can elect to skip this if you need to take a quick shot. The XTi focuses quickly, shutter lag isn't noticeable, and shot-to-shot speeds were snappy. The XTi can take 11 RAW or 33 Fine quality JPEGs in a row at just under 3 frames/second. About the only weak spot performance-wise is battery life, which is a bit below average. Photo quality was excellent, especially with a decent lens on the camera (and the kit lens isn't one of those). The XTi took well-exposed, colorful images with very low noise levels, even at ISO 800. Like on all of Canon's D-SLRs, images are on the soft side straight out of the camera, and if you agree you can turn up the in-camera sharpening using the Picture Styles feature. Purple fringing levels varied depending on what lens I was using, but generally it wasn't a problem. Same goes for redeye -- there wasn't any to speak of." "Despite my few complaints, the Canon EOS Rebel XTi still shoots some very nice photos, with good color rendition, broad dynamic range (when there's sufficient illumination), and accurate automatic white balance. Shots taken at ISO 100 and ISO 200 were very clean, but beyond that, the photos couldn't take much retouching without drawing attention to the noise. Canon is not planning to do away with the Rebel XT, and the presence of a new model doesn't make that great model obsolete. If you don't change lenses that often, don't mind the smaller LCD, don't need the slight bump in continuous-shooting speed, and don't need the higher resolution, then you don't really need to pay extra for the Canon EOS Rebel XTi. Furthermore, if you don't yet have an investment in any particular manufacturer's lens system and want this year's best model for less than $1,000, you might consider the Nikon D80." 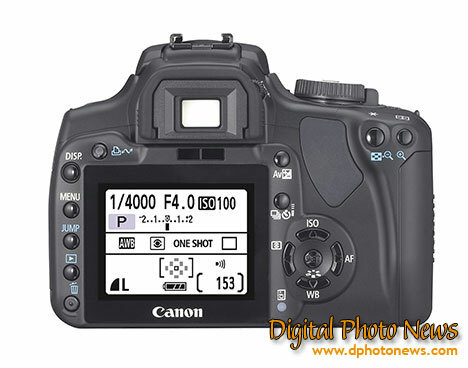 "The EOS 400D inherits a number of advanced features proven in higher-end EOS models, such as the EOS 30D and 5D. These include its 9-point AF system, Picture Style (see Appendix: Technologies Explained), 9,999 image capacity folders and expanded Pictbridge functionality. The EOS 400D also incorporates the same DIGIC II processor found across the EOS range right through to EOS-1 professional models (see Appendix ‘Technologies Explained’). As well as providing superior image quality through advanced rendering algorithms and almost instant 0.2 second start up time, DIGIC II’s accelerated processing prioritises the photographer’s ability to keep shooting by clearing the buffer quickly between frame bursts." If you have your review of this camera and you want it to be published on this page then you can send some text from that review and link via this page. It will be listed on this page in a few days.